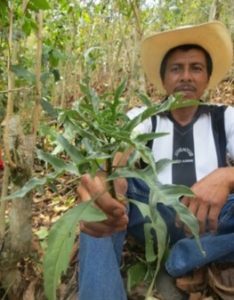 This project, funded by the European Thought for Food Initiative, seeks to generate scientific evidence and build capacity for strategic decisions around diversification activities in smallholder coffee farms and cooperatives in Mesoamerica. 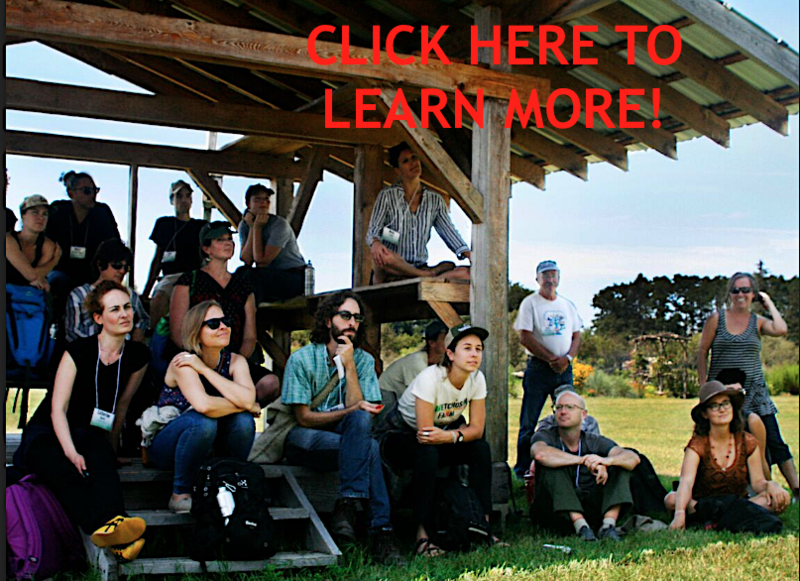 The project team is comprised of members of coffee cooperatives in Mexico (CESMACH) and Nicaragua (PRODECOOP), the Community Agroecology Network (CAN), a grassroots NGO based in California, and faculty and students from the following universities: 1) the ALC at the University of Vermont; 2) Santa Clara University, in California; 3) members of the Agroecology Group at El Colegio de la Frontera Sur (ECOSUR) in Chiapas, Mexico; and 4) the Universidad Nacional Agraria (UNA) in Nicaragua. Using a Participatory Action Research Approach (PAR), we are collectively working and co-creating knowledge on how different diversification strategies may affect food security, climate change resilience, livelihood performance and gender inequity at the household, community and regional scales. 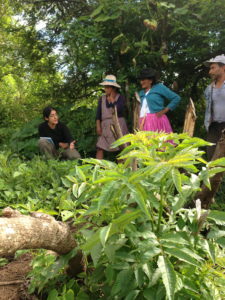 In addition, we are examining how this relates to the governance and sustainability of coffee-based agrifood systems (Photo by Margarita Fernandez). Our project investigates the early stages of formation of a Farmer Research Network (FRN), which builds on and advances existing farmer and social networks of organic peanut producers in the Chuquisaca region of Bolivia. Through a Participatory Action Research (PAR) lens we are helping to establish the FRN and evaluating how principles from agroecology, territoriality and social networks affect the potential for this FRN to scale-up and be self-sustaining.